A majestic collection of islands in beautiful South East Asia, Thailand has so much to offer all who grace it's stunning shores. 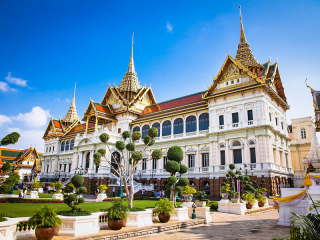 Whether you're seeking a relaxing tropical escape or exhilarating cultural adventure, Thailand is sure to impress. Boasting incredible attractions, sun-soaked scenery and exciting local tours, prepare to be amazed by this spectacular Asian paradise. 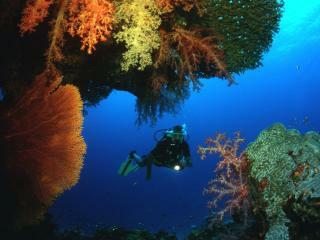 Thailand's most popular attractions are found right here. 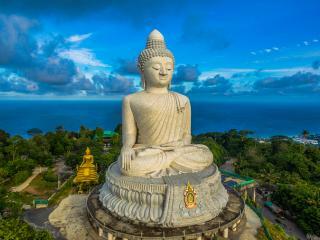 From cultural sites to floating markets and Big Buddha, Thailand offers travellers an unforgettable holiday experience. 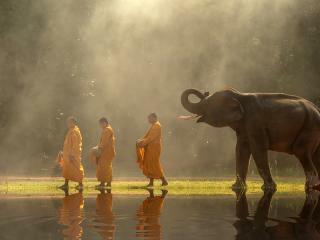 Discover Thailand's most popular tours right here. From elephant encounters to the majestic Phi Phi islands, there is so much to see and do in tropical Thailand. 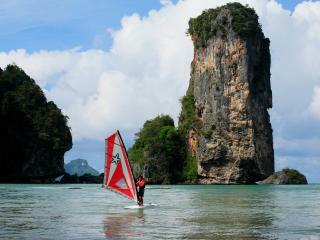 Boasting shimmering waters and sun-kissed sands, Thailand beaches are dream-like in perfection. 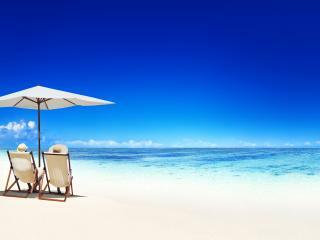 Discover the spectacular range of beaches across popular destinations and islands off the beaten track. Thailand's almost 2000km of coastline offers divers a bevy of sights, from fringing reefs and seamounts to caverns, drop-offs, tunnels, walls, wrecks and pinnacles, not to mention the vibrant and exotic marine life. 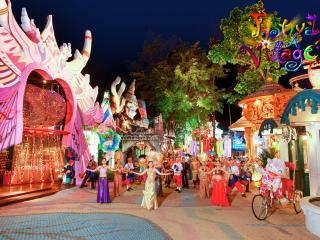 A melting pot of culture and tradition, Thailand hosts many festivals and events throughout the year, with at least one major event of celebration each month. 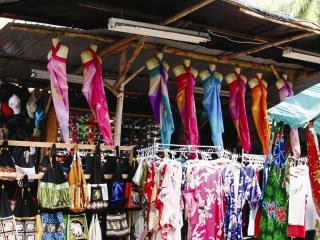 Offering amazing and affordable shopping across a range of market stalls, Thailand provides travellers with the ultimate shopping experience. 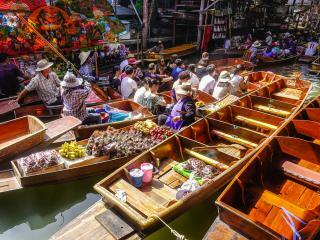 Explore the best local and souvenir markets across Thailand here. Renowned for it's delicious and exotic cuisine, Thailand's fantastic range of restaurants are sure to delight your senses. 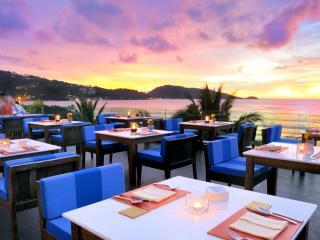 Explore our favourite Thailand restaurants in this comprehensive guide. From full-moon parties and lively nights to sports bars and beach clubs, Thailand has so much to offer the party-goer abroad. 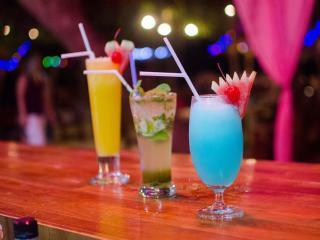 Explore our favourite Thailand nightlife venues in this comprehensive guide. Offering some of the best freshwater fishing in all of Asia, Thailand is the ideal destination for the avid angler. 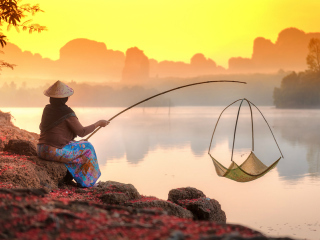 Discover the top fishing spots in Thailand here. Boasting year round surfing conditions and 2000km of coastline, Thailand is South East Asia's surfing paradise. Whether you're a beginner or seasoned surfing pro, Thailand swell offers surfing options for all. From the bustling streets of Bangkok to the market places of Chiang Mai, find all of the best shopping destinations in Thailand in this comprehensive guide. From national parks and snorkeling excursions to temples and historic sites, discover the top 10 things to do in Thailand here.